Primary is a full-service integrated marketing agency that believes powerful ideas transform anything. We deliver Strategy, Design, 3D Visualization, Web Development, Creative, Media/Social and Analytics. We work with clients to change perceptions, to change beliefs, and to change possibilities. 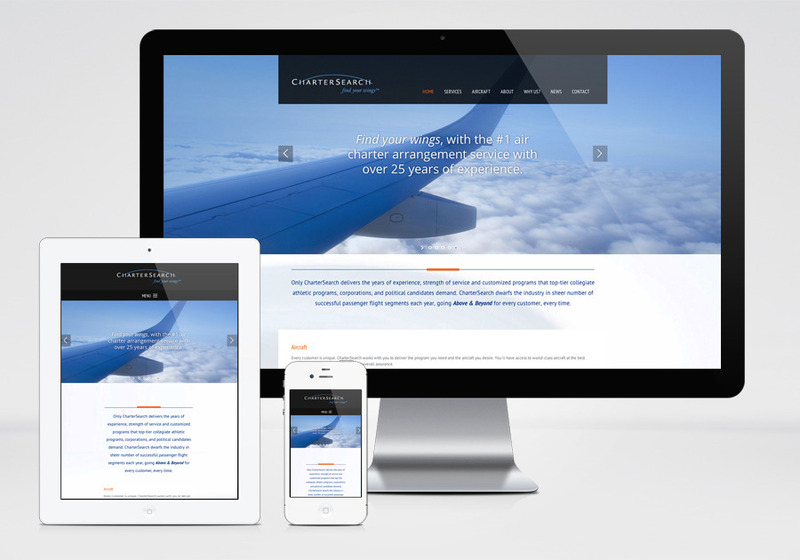 CharterSearch, a national air charter arrangement service, approached Primary Design in need of a fresh approach to their marketing. Primary started with a brand makeover by developing a sleek new logo and compelling tagline, find your wings. Primary then extended the new brand and supporting visual language to a responsive website, trade show booth, brochure, pocket folder and stationary system.